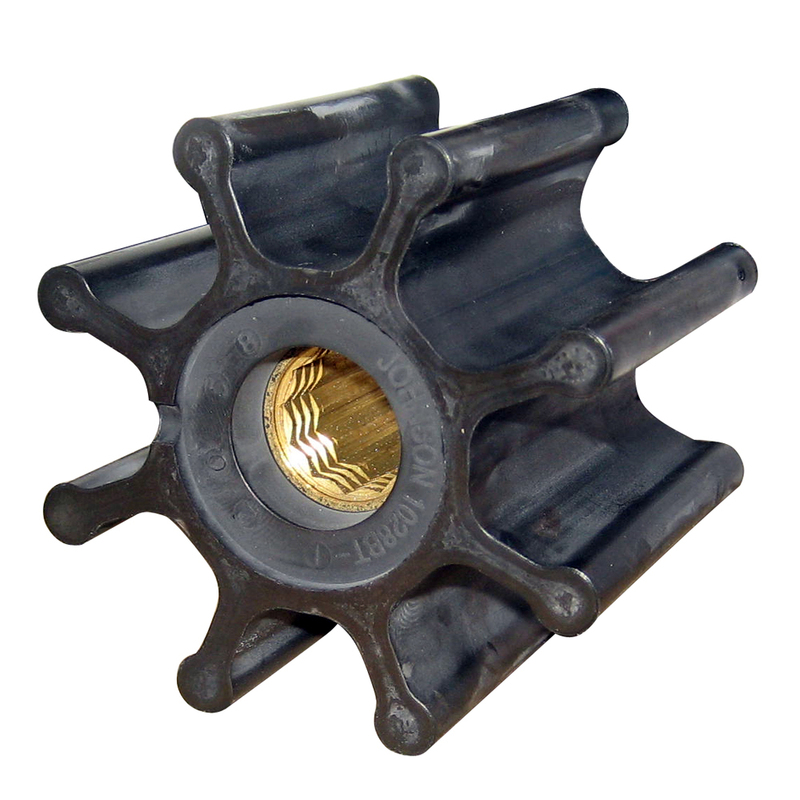 Jabsco flexible impellers can be fitted to most makes and models of bronze flexible impeller engine cooling, bilge, transfer and general purpose pumps. Jabsco flexible impellers are subjected to rigorous quality processes to ensure reliable, efficient and long lasting performance. Replace all impellers at least once every year, or sooner, depending on the engine duty. When the installation is correct an impeller may last for several years, but it is always advisable to stick to a schedule of preventative, rather than corrective, maintenance. Replacing impellers is easy. By removing the end cover screws, it is possible to remove the impeller by using either a Jabsco Impeller Removal Tool, or channel lock pliers, to grip the hub of the impeller. Don?t use screwdrivers as they may damage the face of the pump body, causing leaks, and they can be dangerous in confined spaces. Always carry spare impellers on board in case of emergency. The impeller is one of the most vital components of the engine cooling system and should always be treated as such. Always grease new impellers. Firstly, it makes it easier to install the impeller into the pump bore, and secondly it gives added protection to the impeller during initial prime. After replacing the gasket and end cover the pump is ready to use.